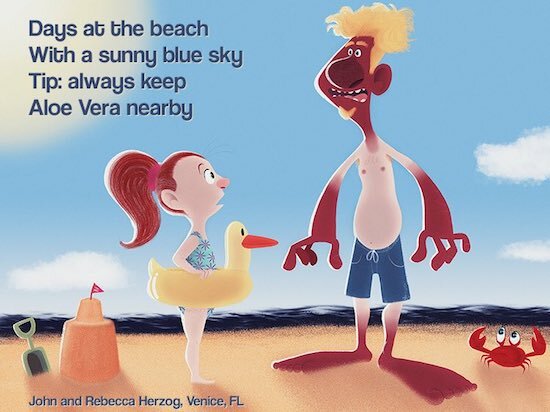 While preparing for the unveiling of “The Art of Summering Gallery of Artistic Expressions, I took a week-long detour to present at the National Center for Families Learning Conference in Fort Lauderdale and visit friends and family in both Bonita Springs and Palm Beach Gardens. With a "summer frame of mind", I experienced nature’s touch from cloudy skies that broke into thunderous roars of intense rainfall to exquisitely-hued sunrises and sunsets. 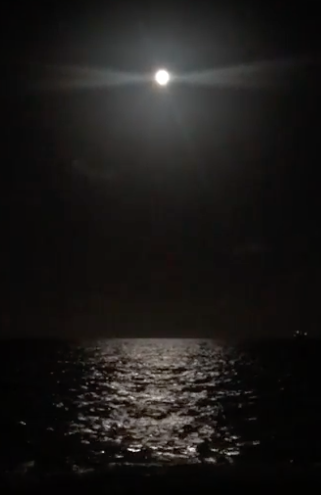 Each day, the moon and the stars dressed in sparkling shades and the ocean roars lulled me to sleep. 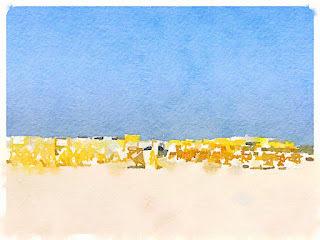 From one coast of southern Florida to the other, my husband and I enjoyed the Floridian sights, the presence of a still visibly strong summer season and the opportunity to continue the "art of summering" after its designated end. Needless to say, I immersed myself in the experience, collecting magical memories to reflect upon during the cold winter months. 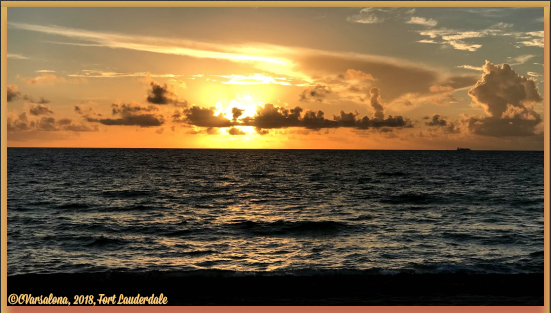 In my post, Anticipation, I stated that the art of summering is listening to the ocean waves and wondering, such a simple act that I engaged in while in Fort Lauderdale. Each morning and night, I heard the ocean call. 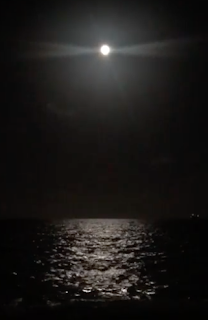 On two mornings, I engaged in beach yoga before sunrise and deeply reflected on the presence of the moon, its descent, and the rising of the sun. From these experiences, I wrote a questioning poem. to pause and savor quiet moments more often? to view silver raindrops as day brighteners, not negatives? as nature slowly paraded in front of me? marked the beginning of the journey? "How can I find balance in life to make a difference?" 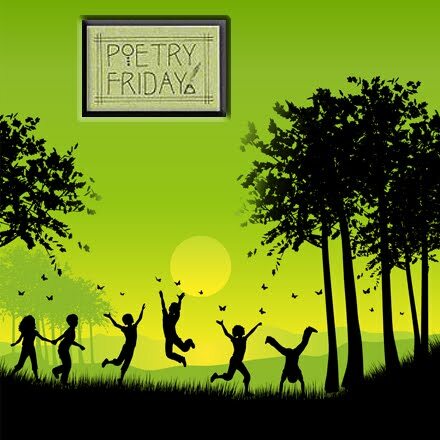 The above poem and digital inspirations are being offered to Michelle H. Barnes for her September Ditty Challenge from the inspirational poet, Naomi Shihab. We were asked to write a letter to ourself in which we asked some questions that we didn't have to answer. You can access all of the responses to the challenge at Michelle's Ditty of the Month Club September Padlet. Before I post my poem on the padlet, I will stop at Jone Rush MacCulloch's blog site, Deo Writer: Musings to Spark the Spirit, for the Poetry Friday Roundup. I am dedicating this weekend to put the finishing touches on The Art of Summering Global Gallery of Artistic Expressions. Stay tuned for the unveiling announcement. Part of the art of summering is listening to the ocean waves and wondering. Why is it important to allow voice to rise? How can we engage students each day so that they can make their mark? On December 17, 2018 Peter H. Reynolds, the author of The Dot, will guest moderate #NYEDChatwith Susan Verde. The special holiday Twitter chat, The Gift of Reading, will inspire educators, parents, families, and children to share the pleasures of reading. I like to connect via Twitter with my global friends about teaching and learning either through chats or blogging. It is amazing to be virtual friends with so many like-minded people who are student-centered and creative. 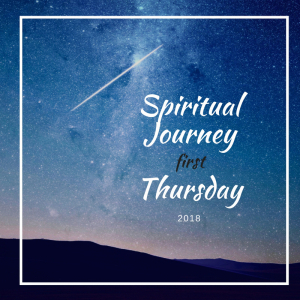 This weekend, Terje Akke, one of my educator friends from Estonia, created her celebration post about an idea that has been marinating for years. Excitedly, I read her post to see what photos Terje would include. 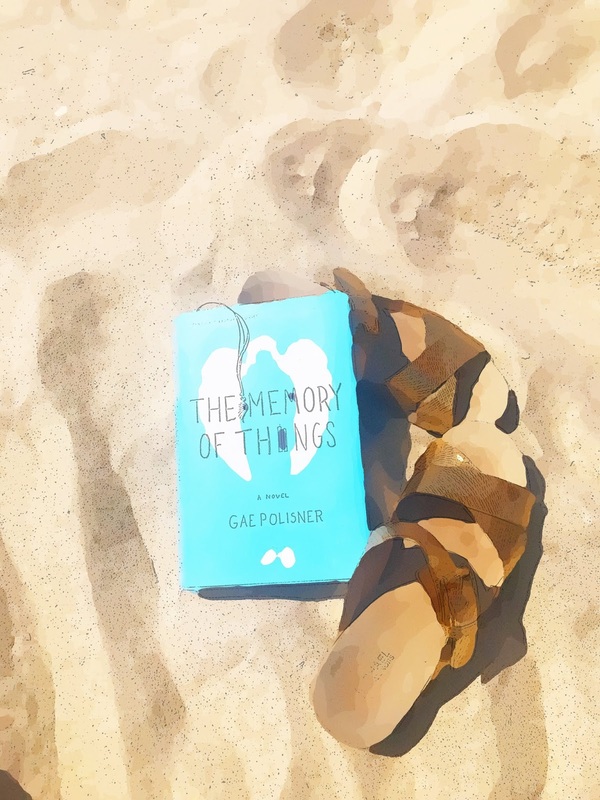 She is a wonderful photographer and writer who has been giving her students the gift of writing in the great outdoors but her real desire for years has been to have her students experience how writers go to unexpected places for ideas. Recently, her dream was realized. In Terje's blog, she described the unusual place she took the children to write. It was the Estonian Art Doll House. I found Terje's photos of the doll museum to be quite engaging. I could picture the young writers milling about the house being greeted by an assortment of dolls. I especially liked the photo Terje included of a Victorian Queen of Hearts type doll. I started playing around with rhyme and decided to draft a short poem for the students to remember their experience. Who knows, maybe they will create their own person poems for each of the dolls they saw. I am grateful for the connection I have made with Terje. You can see her photographic work in my recent gallery of artistic expressions. Terje has given me a gift. She hasprovided me with insight into the teaching methods and lifestyle of Estonians and continues communication to share ideas. There are many other photographers and educators from across the world that I have met through Twitter. Being able to connect virtually with others across regions makes the world seem more accessible to me. I celebrate with Terje this week to continue the commitment to celebrating life that Ruth Ayres started. "Poetry reading is up in America while reading books for pleasure is down slightly. So says the National Endowment for the Arts, which has published the result of a study, 'U.S. Trends in Arts Attendance and Literacy Reading: 2002-2017'... Poetry reading surged a remarkable 76 percent, to 28 million in 2017." I was excited to read the short article, Making Waves, Readers in America, in USA Today, 9.14.18, before heading out to the state education conference I was attending. After several days of cooler temperature and rain on Long Island, it was a pleasure to be greeted by the sun and warmer weather. 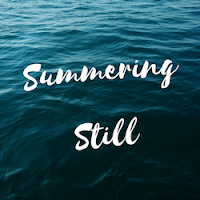 I am still in summer mode and am enjoying reading poetry that has been sent to me for The Art of Summering Gallery. 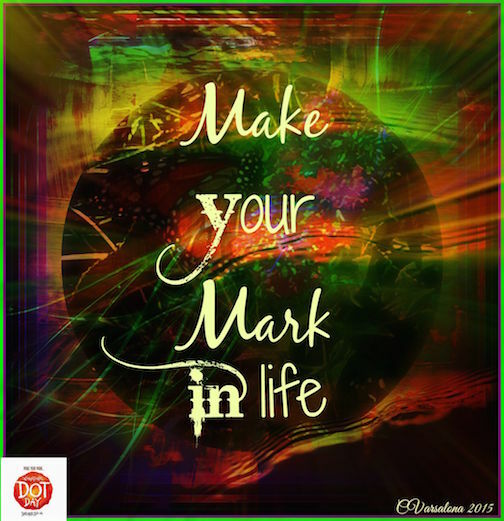 After a short hiatus from designing my summer gallery of artistic expressions, I am happy to return to the task. Image poems, a children's corner, and music. 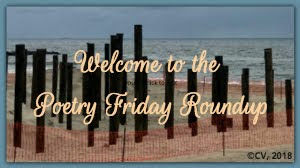 For now, I am joining Amy Ludwig Vanderwater at The Poet Farm who is the host of Poetry Friday this week. Amy has a reflective post for students and teachers with a wonderful poem, a quiet boat. Please join me! There's still a sadness in hearts on 9/11. So Many Stories, So Many Hearts Broken! honored at the village green. I woke this morning to the broadcasting of the Ground Zero ceremony from New York City. As the ceremonial bell rang, the reading of the fallen heroes' names stopped. A stillness surrounded the structure. Tears were shed. The pause was deafening for so many remembered the day that many lives were lost, fathers, mothers, siblings, relatives, and friends. My NYC suburban village was hit hard. Some who perished on 9/11 worked on Wall Street. Others were fire fighters and police. All become our village's heroes. The short poem above is a compilation of blog titles I have written over the years. Each one a painful memory. Each one a tribute to those who perished, so I ask, "What is needed in this world?" Sharing Acts of Kindness on September 11th! 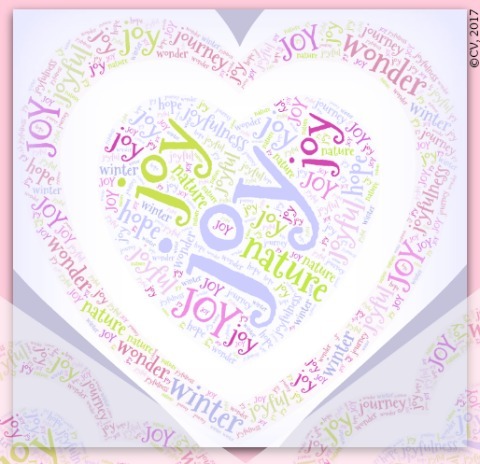 All of the words in red are blog posts, either at Beyond LiteracyLink or Wonderopolis' Wonder Ground, that I have written on the topic and gathered here to create a poem. 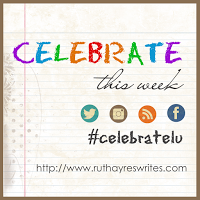 Besides being Patriot Day, it is the Slice of Life Tuesday at Two Writing Teachers. I offer this solemn tribute to those who are remembering 9/11 and to those who are committed to sharing acts of kindness. 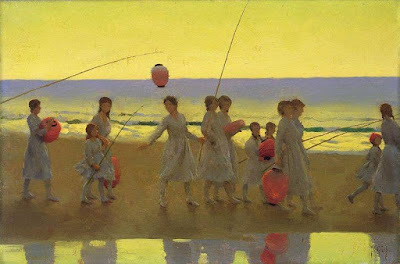 As the summer season on Long Island comes to a close, my mind drifts back to the pristine beach where a gentle breeze brings relief from the persistent heat. 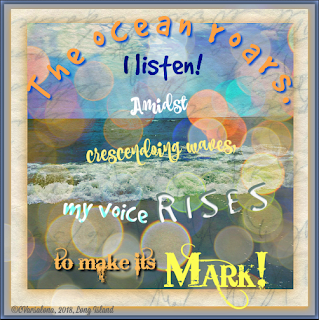 I hear the roar of the foaming waves singing their summer song, and savor those cherished memories. 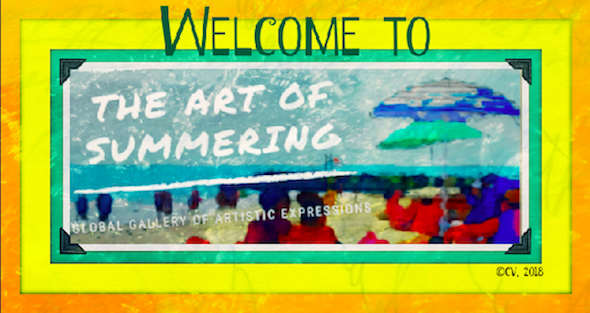 To preserve the glorious rays of the summer season, I am deep in thought about the design of my summer gallery of artistic expressions, The Art of Summering. There will be a brilliant array of art, poetry, nature/travel photography, digital art, and music inside the gallery SO STAY TUNED for the upcoming unveiling. Omar Akram's Dancing With The Wind video that includes dance, instrumental music, and beach scenes swept me away with its breathtaking approach to the art of summering. 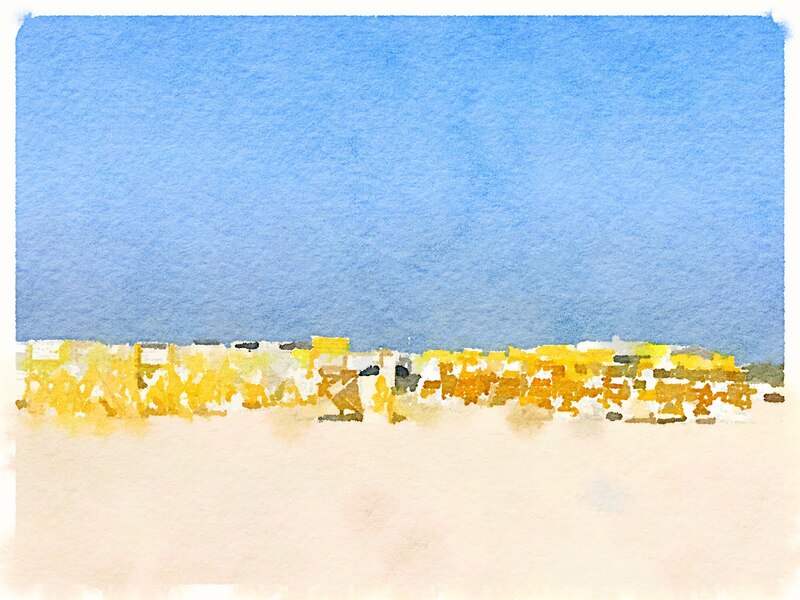 Since the video showcases global scenes, I added it to #TheArtofSummering Gallery's playlist. 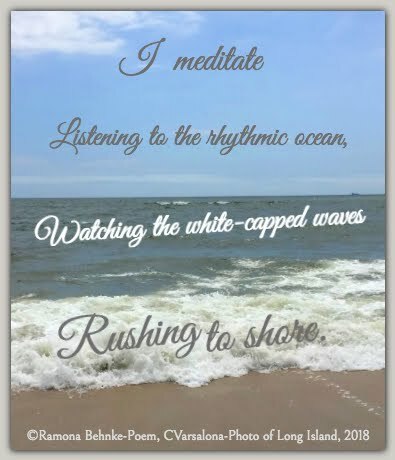 Being in a contemplative frame of mind, I captured a stanza from Ramona Behnke's post today and added it to my photo of a Long Island beach to create an #imagepoem / #digitalinspiration. 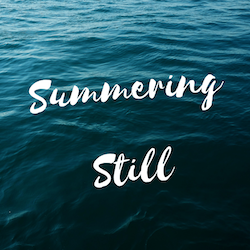 Many thanks to all the poets, photographers, artists, bloggers, writers, teachers, and students who were interested in offering digital inspirations for The Art of Summering Global Gallery. If you have a digital offering (art, poetry, nature photography, digital art, or music), please send it to me by September 7th. 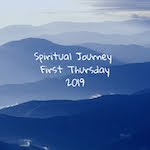 Donna Smith, the host of Spiritual Journey first Thursday chose My Path as her topic for this month. She asked our writing community to ponder how the paths we've taken led us to where we are today. 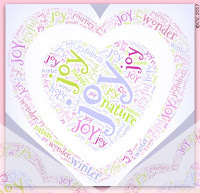 one limitless word - joy! Did you notice that the ending word of each line of my poem led to Breathnach's words of wisdom? summer to sing its waning song. I listen to nature's sounds without regret. pathways of promise appearing ahead. the nourishment my soul craves. Writing is a journey similar to the pathways of life I cross. There are detours, revelations, and stops along the way. I often reach a destination and interact in ways not planned before finding a single moment in time to savor. Paths continue to curve; I meander, follow bends, and move beyond boundaries. With grace guiding me, I have learned to grow as a learner of life noticing, wondering, and recording. May all !our paths be filled with joy, even the rocky ones that we do not understand. The day opened with a sky filled with bright sunshine. An intense warmth enveloped every living object so when my husband suggested, "Let's go to the beach," we quickly readied ourselves for the short jaunt. 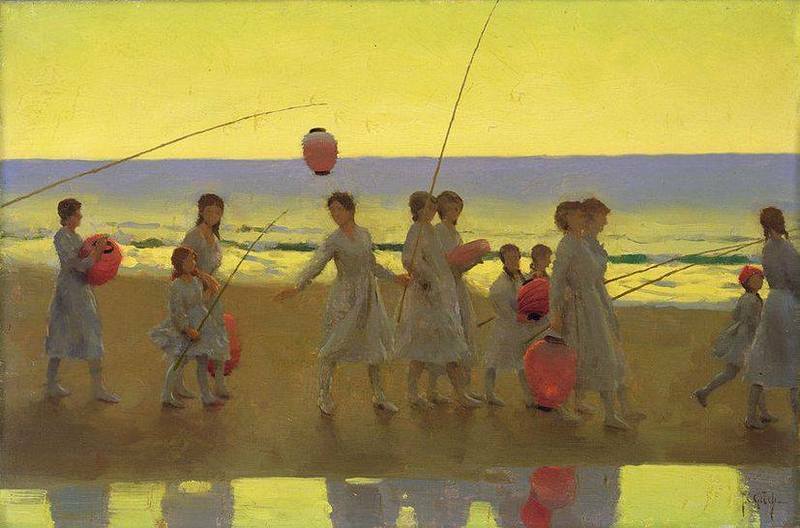 While the calendar read Labor Day, the official day the beaches close, we were not ready to say goodbye to summer. Off we went! Others were not letting go of summer either as evidenced by the packed parking lot. 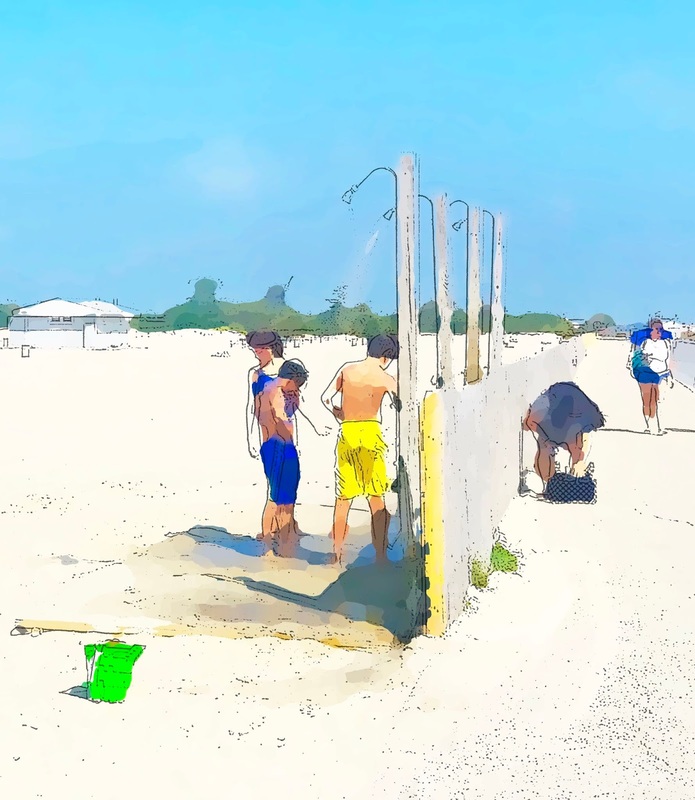 Children were chatting away under the coolness of the outdoor showers and families were unloading their cars with beach paraphernalia. Rows of lifeguard chairs were stacked in the area in front of the dunes. I paused for a moment to photograph the lifeguard chairs in need of an end-of-summer overhaul, thinking here in the sand lay the hope that summer continues on. Like a group of pioneers crossing the desert with heavy possessions, beachgoers trudged through the expanse of sand leading to the shoreline. 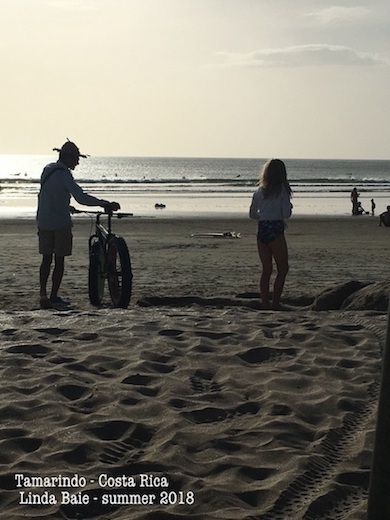 The sun's rays were heating the sand to the point that sandals were needed every inch of the way. I stopped to rest a bit before continuing the heated walk. As my feet sank into the sand, I remembered what a beach medic told me a few summers ago. "Be careful when walking in the sand on a hot day. You can easily get feet burns from the heated sand." Once happily situated near the shore, I edged my toes in the sand, enjoyed the breeze whipping past me, and continued to read my beach book, The Memory of Things by Gae Polisner. Ah! What can be better than a summer state of mind? I say, "Sigh...there goes another summer, Snoopy!" Labor Day is always a festive holiday in my hometown. People celebrate with barbecues at the beach clubs or in their backyards. It is a time for families and friends to gather together, enjoy each other's company, and share remembrances of summer days. 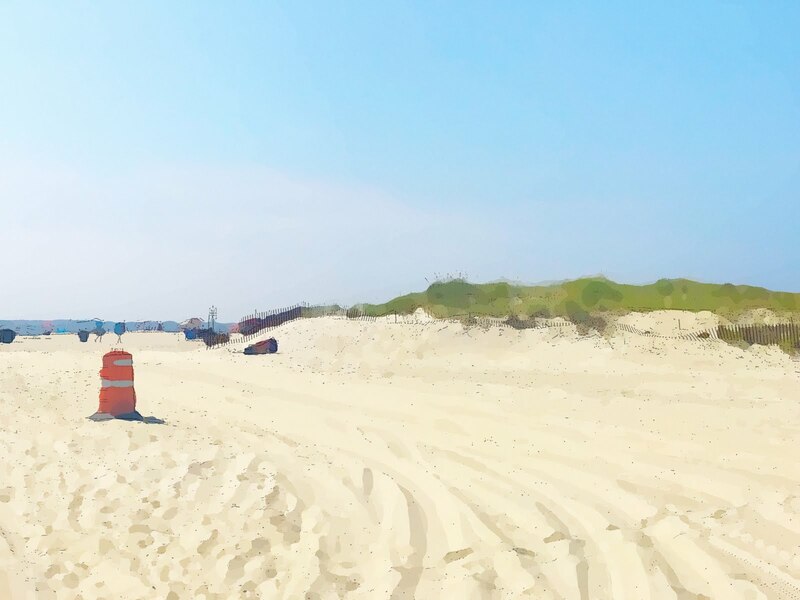 Since I live near the Long Island South Shore beaches, beaching is a topic of interest but the significance of Labor Day is usually not remarked upon so I decided to research the history. Each holiday or season I place antique postcards from my ephemera collection in the entranceway of my home as a decoration. Since I do not have a specific one for Labor Day, I searched the web and found the following image. 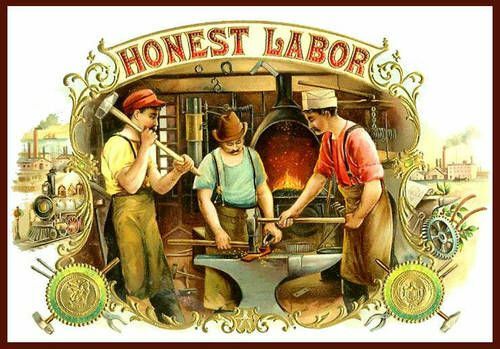 In 1894, Labor Day officially became a national holiday celebrating American workers and the labor movement. As the U.S. Department of Labor says, "It constitutes a yearly national tribute to the contributions workers have made to the strength, prosperity, and well-being of our country." My grandparents, mother, and my husband's father were part of the workforce. I honor and celebrate their efforts. "Labour will refresh itself with hope." 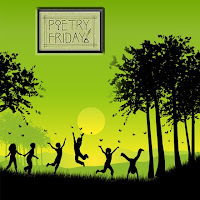 One of my poet friends, Diane Mayr, wrote a blog post, "What Work Is," for Poetry Friday this week. You may be interested in reading the poem by Philip Levine that can be accessed here. Parades and picnics have marked the passage of time since the turn of the 20th century. 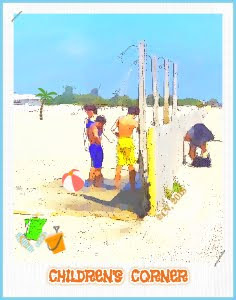 Beachgoers flock to the shore for the last days of summer vacation whether it is sunny or not, as noted by the above antique photo card. Beside Coney Island, Jones Beach that opened in 1929 is a popular place for beaching. While I thought I would not be a beachgoer today, my husband woke to the thought, "Let's go to the beach." 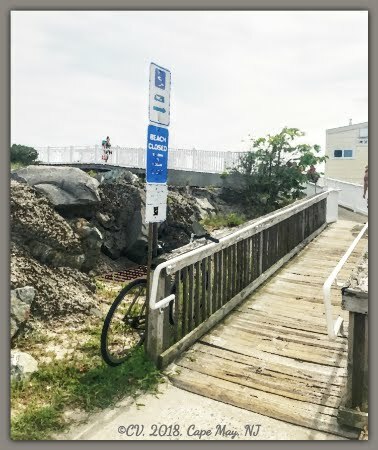 Soon we will head out for the ritual trip to Point Lookout beach and then return to Rockville Centre for the annual Labor Day barbecue at the Rockville Links Club. Each year of my children's lives, we attended the festivities there. This year, my friends invited us to the barbecue that will bring back fond memories of the cotton candy cart, grilled hot dogs, an array of different foods, and a table of rich desserts. Enjoy your Labor Day holiday. I know I will. All labor that uplifts humanity has dignity.